Time4VPS has a DNS Manager allows you to easily set up your domain from the Time4VPS client area. This tool is free of charge and anyone can order it via Clients Area. It can help you to not only set up domain and point it to one of our servers, but also edit the DNS zone and other records, such as MX, TXT, CNAME and etc. Sign into your Client Area, press “Order New Service“, choose “DNS” and then press “Continue“. After you confirm, DNS Manager will be added to your Client Area and you will be able to see it on your “Services” section. Now we need move into the Time4VPS client area. Within the DNS Management section, click on “Add Domain“, and fill in the information of the server you want to connect it to. Note: The domain name does not have a “www” at the beginning. For your domain to use the records created in our DNS Manager, the domain must be using our Name Servers. You can change the Name Servers following the guidelines below. 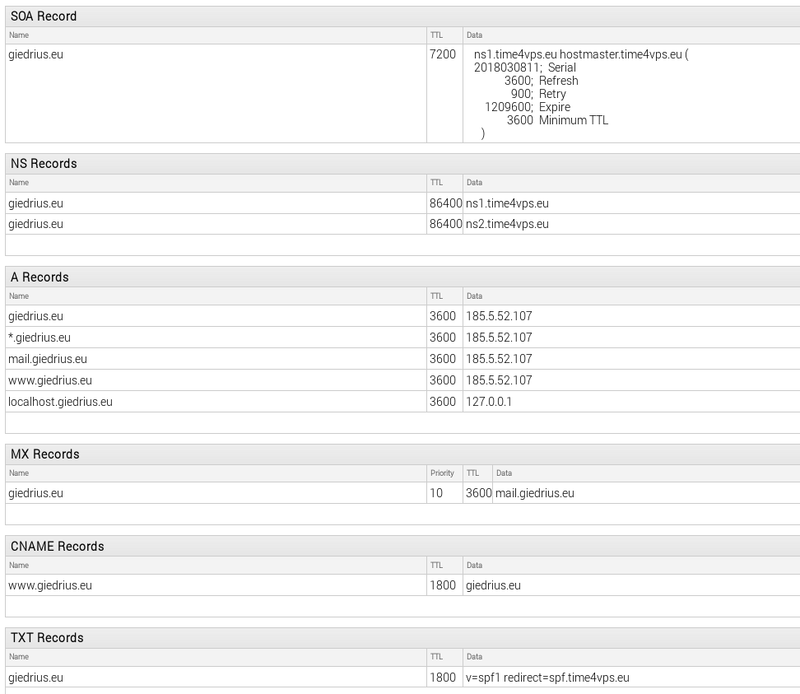 Access the control panel of your domain registrar and find the fields called “Name Server”. Point your name servers to Time4VPS and fill in two name server fields. Once done, save your changes and exit. Although the name servers are visible through WHOIS, it may take an hour or two for the changes to be reflected on your site. CNAME records – are another commonly used type of DNS entry and are used to point a domain or subdomain to another hostname. Mail Exchanger (MX) records – are used to help route email according the domain owners preference. The MX record itself specifies which server(s) to attempt to use to deliver mail to when this type of request is made to the domain. These records has additional variable – Priority, which identifies which server (if there are few) should be used first. TXT records – are used to store any text-based information that can be grabbed when necessary. We most commonly see TXT records used to hold SPF data and verify domain ownership. There are some more records for example: AAAA, NS, SRV, which are used rarely so we will not get into details here.